Gramercy Park is considered to be New York's most intriguing park, considering that it is in fact not a public, but private park that requires one to have special access. 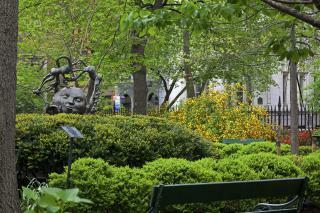 Constructed in 1831, Gramercy park was intended to use only by those living within the park bounds. The park has many restrictions, unlike the public parks in New York. For example, there should be no sports activity, or pets in the park. Commercial photography is also banned in the park. The way to get access is to ask someone who lives within the allowed area for a key, although it has been noted that the key-holder must accompany the visitor.